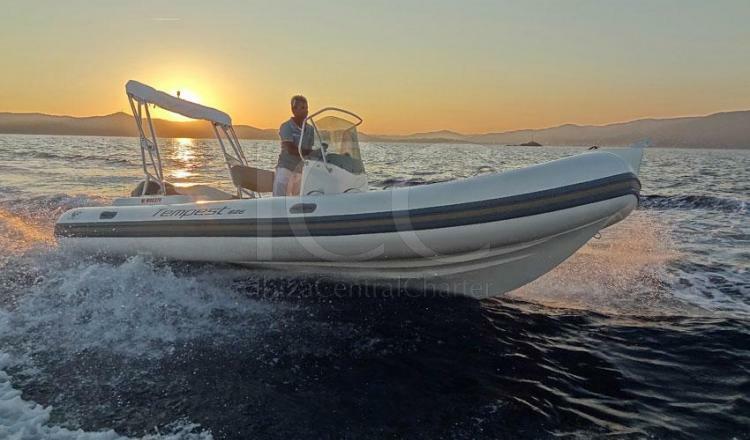 This pneumatic boat, Capelli Tempest 625 of 2007 was completely refit in 2015, becoming a new boat available and perfect to discover Ibiza. The Capelli Tempest 625 is a semi-rigid boat that has almost 6 meters and a half in length and more than two and a half meters of beam, which provides enough space for large groups. Its maximum capacity is 10 passengers, so you do not have to worry about leaving someone on the ground. This boat is ready to make the most of a day charter on the Pitiusas Islands (Ibiza and Formentera) and make it extraordinary. The cockpit is covered with teak wood floor, which will provide total safety on board as well as enhances the beauty of the boat. It has a large solarium located in its bow that becomes the favorite area for sunbathing, as well as comfortable seats aft with a picnic table to enjoy the sea breeze while you take a refreshing drink thanks to your fridge. In addition, in the command area there is a comfortable seat that guarantees total comfort for the skipper during navigation. 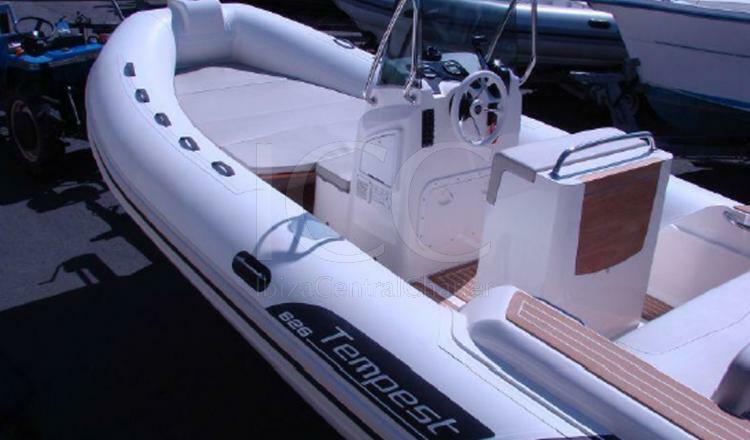 The Capelli tempest 625 is the ideal option to discover the islands of Ibiza and Formentera from another perspective as it has the necessary equipment to be on board in total comfort: from a bimini canopy that covers the stern area of ​​the boat to a little more of half of the total length to rest from the sun to a stereo to acclimate the experience with the music that you like the most.